in August this year we jetted off to Zeeland! If you’ve never been: it’s the south islands of the Netherlands! I actually spent half my childhood holidays in this area as my grandparents used to camp out there every summer – and also my best friend’s family have a holiday home there, which we visited often together during our teens. This was the first time I have been back in years and oh the memories! 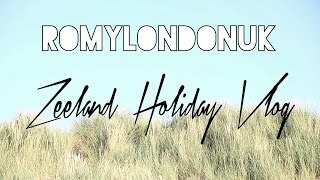 Such a wonderful place to visit and definitely underrated by the British – but see for yourself in my travel vlog below!